TITO Mojito will face the biggest test of his career when he lines up in a heat of the Group 1 Harrison-Dawson (515m) at Sandown Park on Thursday night. Prepared by Michael Giles, Tito Mojito has built an imposing record throughout his 36 start career, with the two-year-old chaser already the winner of 19 races with eight minor placings. 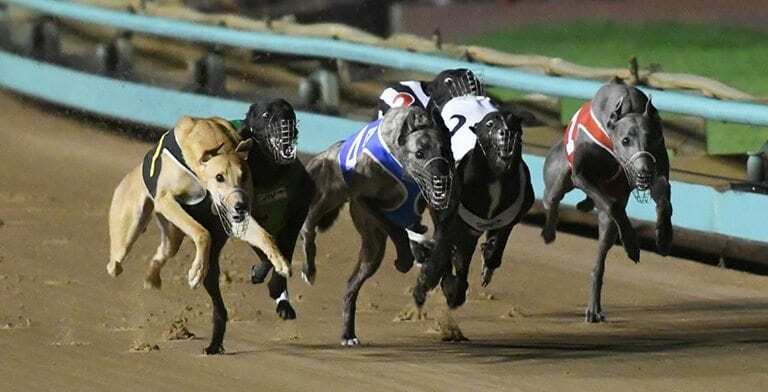 The black dog comes into the event on the back of a recent fourth at The Meadows, but prior to that he had won four in a row including a 29.19 win at Sale and a 29.56 victory at Sandown Park. Giles said to put the pen through his last start, with the 34-kilogram powerhouse a much better dog. “He didn’t get across at the first turn – he got about half a length in front but couldn’t quite get there and then he got off stride – after that he never balanced up properly,” he said. Giles said he is thrilled with the son of Nolen and Fancy Mojo headed into the $100,000 to the winner series, his first attempt at group level. “I am very happy with him – he is doing everything right at this stage, so I thought we’d give him the opportunity to go up against the best,” he said. “He is still a big pup – he would probably rather bounce around playing in the backyard than chase the lure – so we have just taken our time with him to give him a chance to mature. “He has been to six different tracks now and has raced through the grades – he has won six grade five heats and finals. Tito Mojito has struck a sensational field this Thursday, including last start Group 3 Bill Collins Memorial Speed Star winner Bewildering (box one), boom pup Jimmy Newob (box six) and NSW star Wicked Warrior (box five). Despite facing a tough challenge, Giles remains optimistic his speedster can put himself in contention. “On times he has shown he can mix it with the best, so we decided to have a crack at the Harrison-Dawson – unfortunately we have come up against Bewildering which is probably one of the fastest dogs going around at the moment. “However Bewildering won’t be able to do anything wrong because if our bloke gets on the bunny he will be very hard to run down – quite often he looks like the others are going to go past him but he seems to kick on and find a way to keep going. “His best attribute is his early speed so hopefully if he crosses and leads we can see what he is capable of tomorrow night. Tito Mojito will jump from box two in the second of three Harrison Dawson heats this Thursday night.